The 17 year old songstress released the new R&B laced track “No Love“. Signed to Island Records, she has racked in over 70 million Spotify streams. 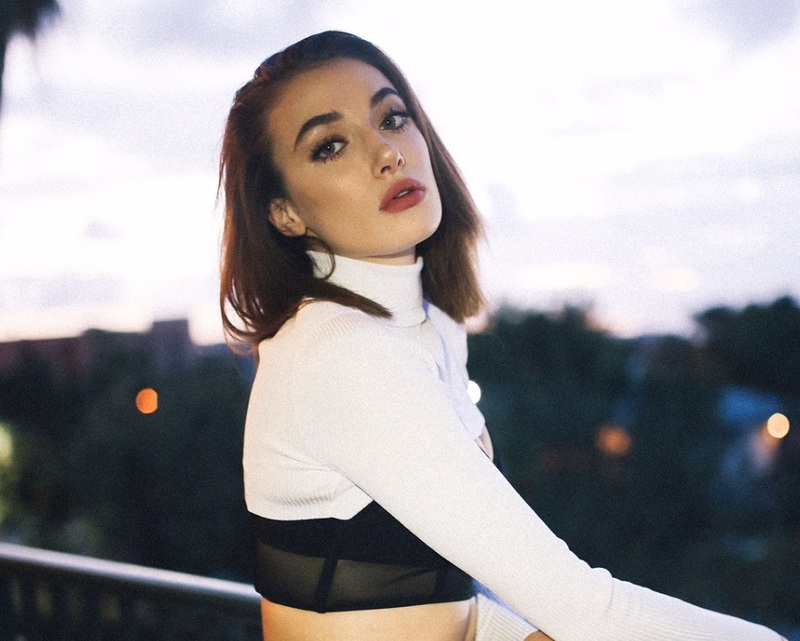 Olivia O’Brien made a huge splash with her vocals on the SMASH HIT “i​ hate u, i love u”. Drawing from pop, R&B, and hip hop, the LA based singer-songwriter has released 6 singles to date. What’s the inspiration behind the latest track ‘No Love’? It’s about what I have observed from the social scene of LA – people going out just for the sake of showing face, people lying and plotting to gain fame that is undeserved and seems like they have it for no reason, people acting one way online and another in person… etc. There are so many disturbing things I saw that inspired me to write this song. A lot of things seem fake and no one is actually friends or actually in love, they start relationships solely based on how it can benefit them. It’s truly sad to watch. Do you have a particular message that you want to convey to your audience? My most important value in life and in my music is honesty. I want to be as honest as I possibly can with the world and I hope that I can inspire people to do the same. SZA is my biggest idol and inspiration in music and just as a person. She is an amazing performer who radiates confidence and is unique in the best ways. I would like to be remembered as a true artist… someone who wrote her own songs and who was always real no matter what. What is your short-term career goal? I don’t have any short-term goals really… all of them are long-term. I want to build a long lasting career so that I can do this my whole life and I will do whatever it takes. My only real short-term goal is that I can continue writing my own songs and releasing them as soon as possible.